Our group journey in the desert concluded on Sunday with the presentation of The Exile and Return. Some children will return on their own for many more trips into this dangerous place, and unlike our “People of God” ancestors, not because they have to! 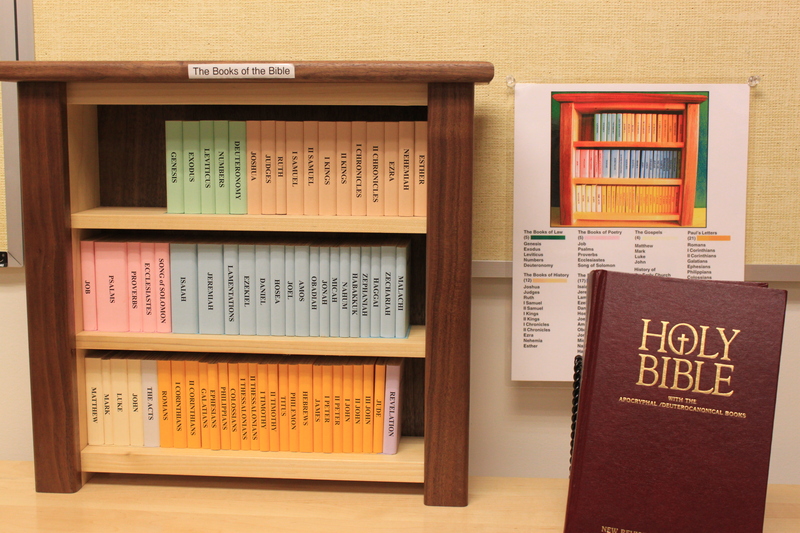 During our journey we visited some major stories in the books on the top shelf of our Bible library. Our story this coming Sunday will be very different. If there could be just one story in a Godly Play room, this would be my choice…The Circle of the Church Year. It is pictured in the September 16th post. Usually it is one of the first presented in the Fall. I like to present it again on the very last day before we end for the summer – with a few additions to the words. This year the first presentation seemed to fit into our schedule better at a different time… a time which is almost here… the Last Sunday after Pentecost (Christ the King Sunday), which is the Sunday before we begin the new liturgical year on the First Sunday of Advent. But since that would mean presenting this on the Sunday following Thanksgiving when some children might be away, it will be this Sunday, when I hope more can be present. As always, it will be about the three great times, the times for getting ready, the times to grow, and about “getting ready” for the ending which is like a beginning! FYI, the picture of this story in your Parent Pages shows it being presented in a counterclockwise direction, perhaps to emphasize a different kind of time. Our wall calendar has the blocks arranged in clockwise order, so we present the story in this direction as well.